The actor Sawamura Sônosuke I held this name from August 1889 to April 1924. 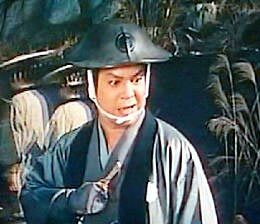 Sawamura Sônosuke I performing the role of Tonami in the drama "Terakoya"
Born in Tôkyô in the district of Asakusa the 1st of July 1918. 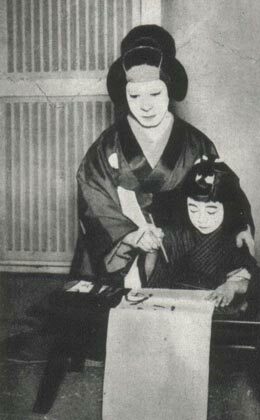 Son of Sawamura Sônosuke I, he made his debut on stage in April 1921 at the Imperial Theater, where he took the name of Sawamura Keinosuke. His father died at the age of 38 the 8th of April 1924 and the young Keinosuke was quickly led to succeed to his father. He took the name of Sawamura Sônosuke II in October 1924 at the Imperial Theater, performing in the drama "Genji Jûnidan". He became a movies and TV series actor in the 1950s. He died the 3rd of November 1978. The actor Sawamura Sônosuke III is the current holder of the name since September 1999.